It’s not just about the ink, is it? When your needs go beyond a simple print job, it’s time to think creatively, and look for a true partner in innovation. Grafika is an award-winning, multi-dimensional print provider of packaging, labeling, wall art, and transfers. What makes us unique is what’s under our roof. 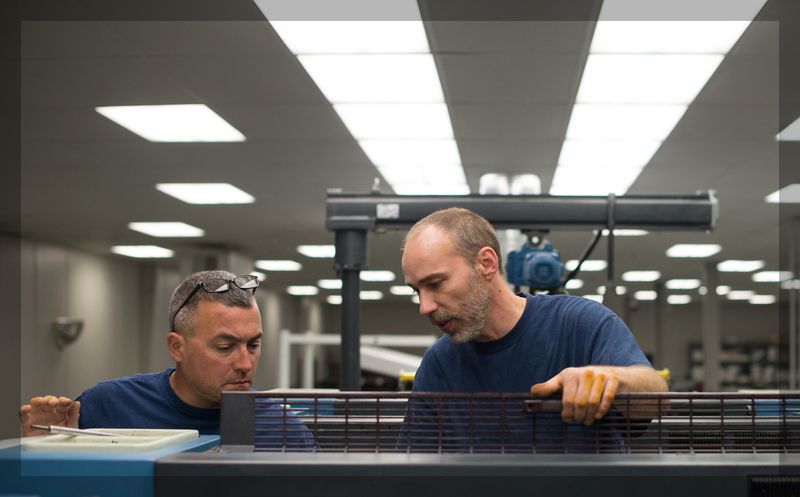 We feature both conventional, and UV offset, flexo, digital, and screen printing in one facility. This combination allows us to deliver some of the most unique, and creative print solutions available. 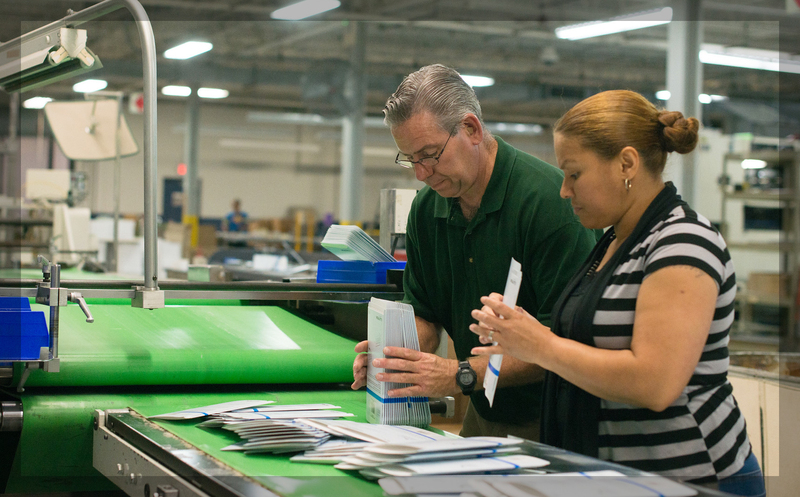 We’re committed to providing our customers with the finest packaging, labels, and printed products to aid them in building their business and brand. Our goal is to help position customers as the market leader in their industry. We accomplish this by being fully engaged in their business, understanding their objectives, and delivering on our promises. Only this commitment level creates the trusting relationship they expect in a true business partner. 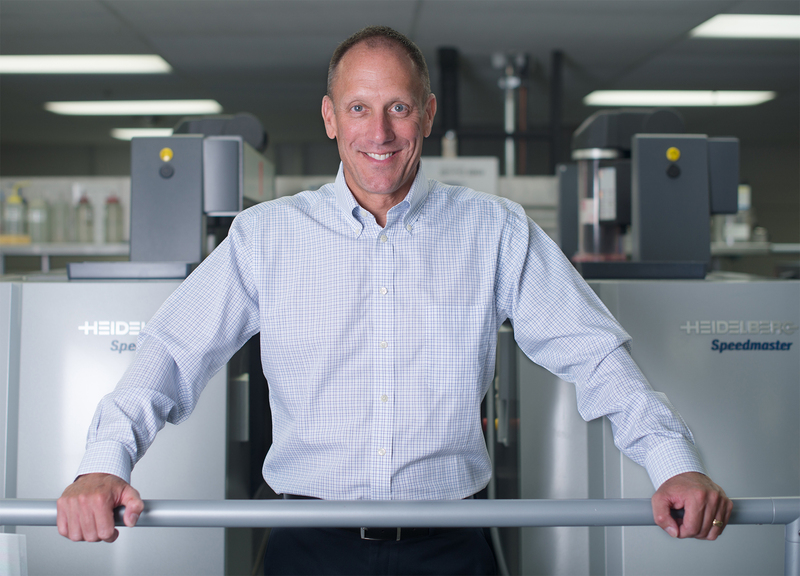 To be the most technologically-advanced print provider in North America. Our mission is to continually exceed our customers’ expectations with high-quality products and reliable service, to profitably grow our organization, and to provide a challenging and rewarding work environment for our employees. To meet these goals, Grafika will proactively invest in cutting-edge technology solutions to ensure its future as a technologically-advanced print provider. Offerings will include Offset, Flexo, Screen, and Digital solutions capable of producing products with a multitude of ink options, as well as a wide variety of substrates. This unique diversification will allow us to anticipate rapidly-changing and emerging needs in the marketplace. Our vision is to operate a stable and profitable company that provides sustainability to our customers, employees, and shareholders. We are strongly committed to uphold our legacy of culture, integrity, and respect through a professional and high-performance work environment, which is customer focused. This has been — and will continue to be — the cornerstone of our business. We believe in utilizing new, efficient, innovative, and diverse print solutions, while providing market-competitive pricing. 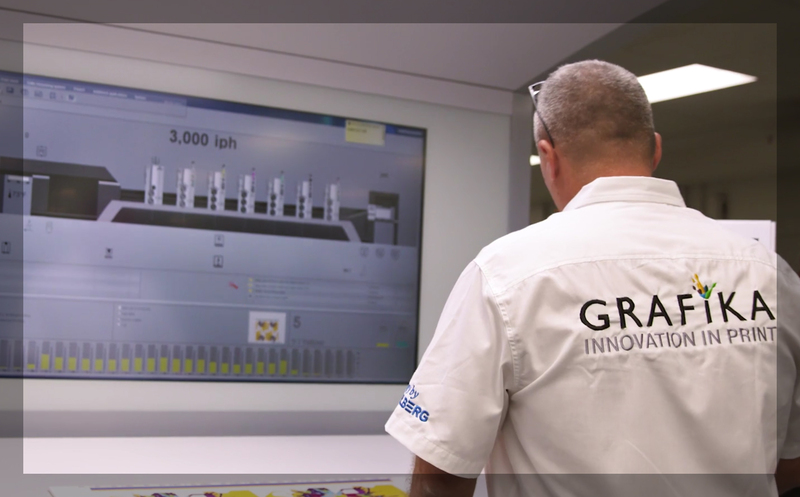 It is the responsibility of each employee to contribute to the success of Grafika through their innovative thinking, cost-effective solutions, superior performance, smart decision making, and the dedication to deliver a quality product. We listen to our business partners, figure out what their needs are and we adapt. We don’t make them fit into a cookie-cutter box. 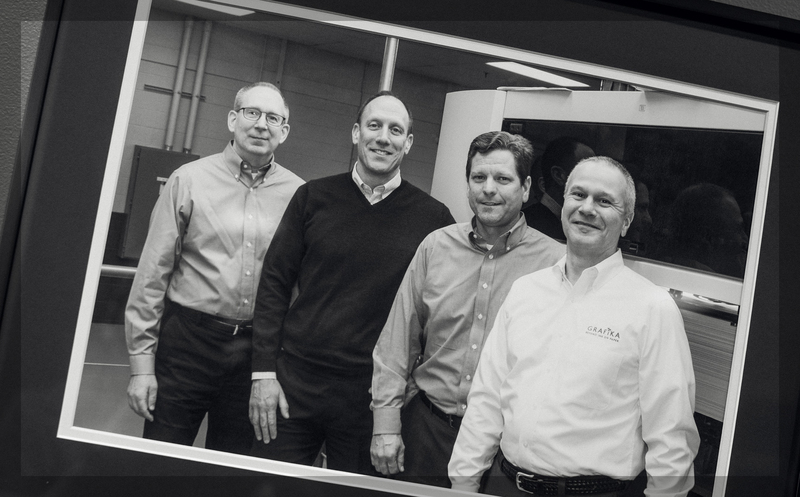 For over 50 years, our vision has been to provide high-quality print solutions with unparalleled attention to detail, utilizing cutting-edge technology and delivering personalized customer service at a competitive price. The foundation of any good relationship is built on trust. At Grafika, we pride ourselves on building meaningful, trust-filled relationships. We work hard every day to make sure we don’t break that trust. Our commitment to you and your business is evident in how we mold our business to fit the way you want to work and not the other way around. When working with Grafika, you get more than just a printer. You get a valued partner who brings more to the table with our high-quality products and innovative services. We promise to find the best solutions to your toughest problems, even if that means camping out at your facility until the job’s done. We understand that the more we help you succeed and expand your market share, the better the relationship is for both parties. We believe our tagline says it all because every day, we strive for “Innovation In Print.” For over 50 years, Grafika has provided our customers with unique, creative, and innovative products and services. Those elements help us find solutions to your most difficult problems. We realize that to come up with the best solutions, we first have to take the time to learn and understand your business. We’re also not afraid to look beyond our four walls for answers. We’ll often engage our suppliers in the quest for the best answer. Have you ever found yourself struggling to develop a new product line? Or, are you looking to update your retail packaging, but not sure where to start? We invite you to make yourself at home at our facility, and we’ll work directly with our creative and product specialists to brainstorm the best new concepts. Service is what we’re all about. From designing a new label, to packing out a retail point-of-sale display, to the fulfillment of customer orders, to managing inventory, we’ve done just about everything. One of the key drivers of our flexibility is the vast number of equipment and material options we provide under one roof. Print options include UV and conventional offset printing, flexo web printing, as well as screen and digital solutions. Plus, we have hundreds of material choices, including a variety of papers, plastics, clings, SBS boards, release papers, and label stock. And if that’s not enough, we can add a variety of print enhancements, such as raised clear, translucent ink, glow in the dark, glitter, dry erase, and various other materials. None of this works successfully without having one of the best color management systems in the industry. We get it: consistency is key when it comes to your brand identification. And the best way to keep everything running smoothly is to assign each customer a dedicated Customer Service Team that coordinates every move. That’s what we do for each and every client.